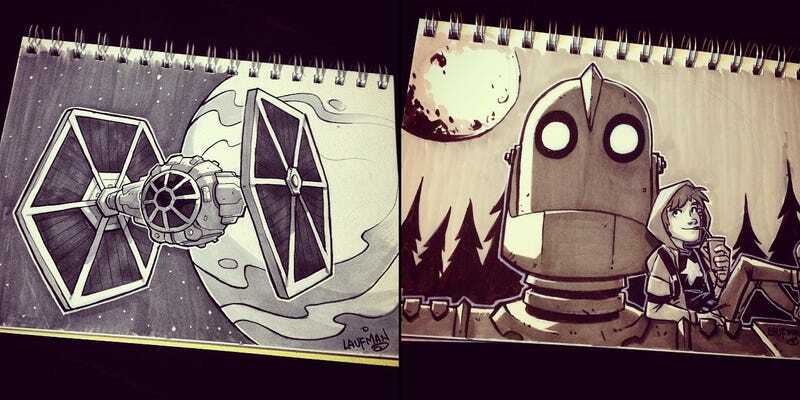 A TIE Fighter and the Iron Giant, from artist-slash-game-dev Derek Laufman. A TIE Fighter and the Iron Giant, from artist-slash-game-dev Derek Laufman. These are part of the Inktober campaign, where artists create one ink drawing a day in October to improve their skills. Laufman's already pretty good, as you can see. There's more of his stuff below, and on his deviantART and Tumblr pages.